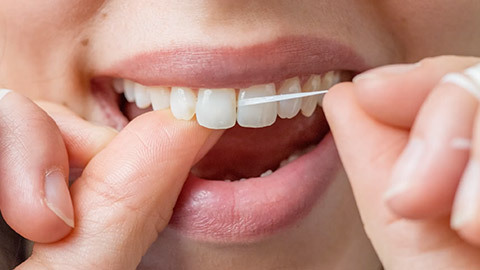 The Canadian Dental Association states that regular brushing, flossing, and professional cleaning are your best defence against tooth decay and gum disease. Preventative dentistry is vital to our patients’ long term good dental health so we recommend you come in every six months for a cleaning. There are two reasons why you should regularly see a hygienist. First, a hygienist will remove tartar from your teeth. This dangerous build up is harder than bone and it can cause tooth decay and gum disease if it isn’t removed. Second, a hygienist can detect areas of your mouth that need special attention for cleaning and show you how to clean them. The hygienist will remove tartar from your teeth with scaling tools, floss your teeth to remove any plaque, and then polish your teeth with a special powered toothbrush. Depending on how long it has been since your last cleaning the process takes between 30-60 minutes. To protect your teeth from decay they may also give you a fluoride treatment. What happens in a dental examination? During a regular dental examination we check for signs of tooth decay such as cavities and we check your mouth and gums for early signs of oral cancer. We may also take X-rays of your teeth and gums to check for issues above the gum line. Preventative dentistry is important. Contact Chatham-Kent Dental today to book an oral hygiene appointment.